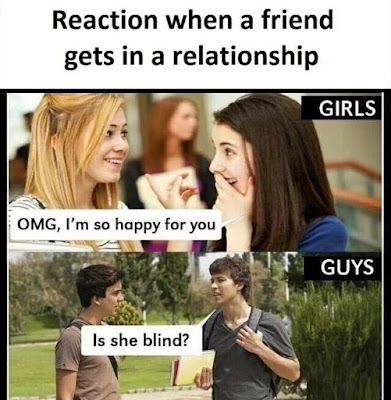 Reaction when a friend gets in a relationship. Girls: OMG I'm so happy for you. Guys: Is she blind?